For those of you that are not familiar with the Ancaster Sports Centre (ASC), it is the new home for the Ancaster and the Hamilton-Wentworth sports communities. The ASC opened the doors to its indoor soccer air dome mid-October of this year and is already the training facility of choice for many soccer teams and over 80 youth athletes ranging from ages 4-12. The ASC has been able to grow and expand its youth soccer program from 1 day a week to 3 days a week in just two short months. The ASC will be a very busy place come the New Year! In addition to being a premier sports site, The ASC also strives to play a constructive role within the community, doing its part by providing outlets for members to become active, have fun and live a healthy lifestyle. We welcome and cater to all age groups, skill levels, and backgrounds. This past weekend, the ASC hosted a free Christmas event that was open to the general public. Santa Claus visited, there was face painting, soccer games, music, dancing and (of course) candy canes! So everyone keep your eyes peeled for more events, programs and fun in the future because Ancaster Sports Centre is your new home for sports!! If you would like further details about our programs at the Ancaster Sports Centre, you can contact info@ancastersportscentre.com or call us at 289-309-5466! 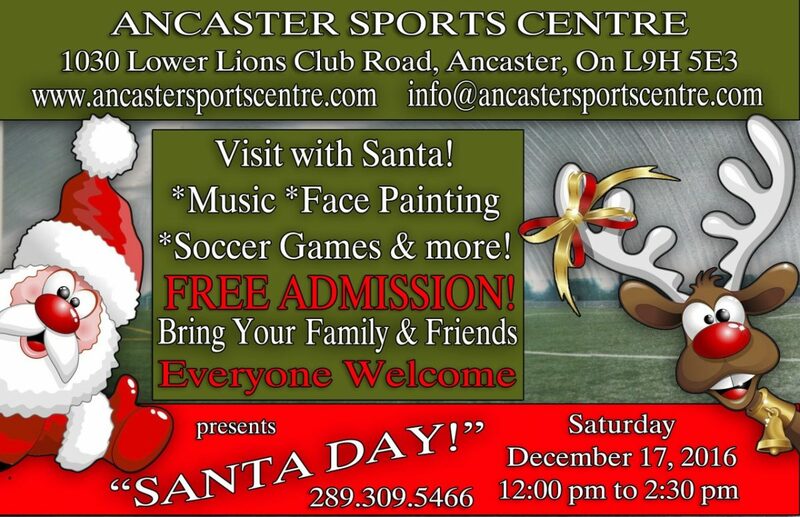 Saturday December 17th 12pm-2:30pm Santa Claus will be visiting the Ancaster Sports Centre! This is a free event, and everyone is welcome! Bring your friends and family for lots of games and activities. Everyone can have their picture taken with Santa. There will be face painting, caricatures, music and lots more fun! The coaching staff will be on site running fun soccer activities and games. This is a great chance for everyone to come and check out our facility, and see what programs and leagues we have to offer and of course a great chance for all children to get active, have fun and meet Santa. You don’t want to miss out on the fun! We are located at 1030 Lower Lions Club Road in Ancaster of off Wilson Street East. If you would like further details about our programs at the Ancaster Sports Centre, you can contact info@ancastersportscentre.com or call us at (289) 309-5466! The Ancaster Sports Centre has been undergoing renovations all summer long. We are proud to announce our brand new dome is being installed right now and will be up and running within the next few weeks. 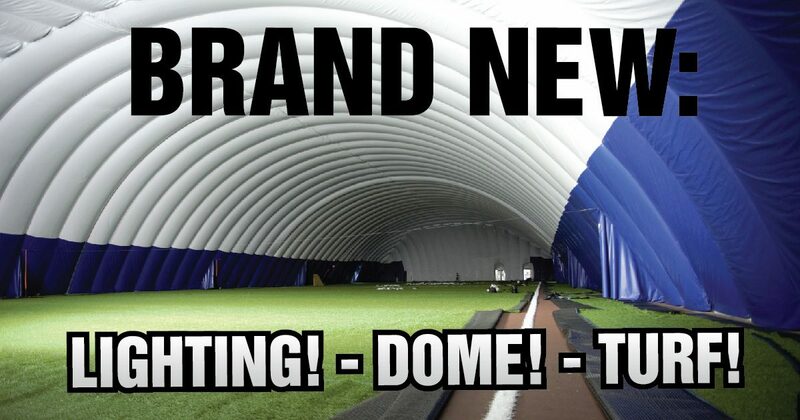 The Dome features new state-of-the-art turf, newly installed lights and brand new goal nets! We are extremely excited to kick off our first season here in Ancaster, you can find us at 1030 Lower Lions Club Road of off Wilson Street East. Check out ancastersportscentre.com for our Youth programs and Adult leagues. Our fields are also available for rent and are a great place for your team to train during the winter months. As our building continues to be renovated, keep your eyes peeled for many more programs and sports we will offer in the future!